Goodyear is showcasing its latest tyre concept at this year’s Geneva International Motor Show- a futuristic tyre that has the capacity to produce its own electricity. Conceived by Goodyear’s Innovation Centre engineers and simply called by its development code “BH03”, the tyre can transform generated deformation and vibrations into electrical energy. As interest for electric cars grows in the global marketplace, this type of innovation is expected to play a role in ongoing discussions on the future of mobility. The tyre is a purely conceptual development and is designed to be part of the company’s innovation thought process. There is no plan to release this tyre to the market. “Concerns about energy and the environment drove us to develop this energy producing concept tyre. Every futuristic idea starts with a societal challenge that we aim to address as we work to build a better future. We are highly convinced that this tyre provides inspiration and that its insights will have a place in future development,” said Jean-Pierre Jeusette, General Director at the Goodyear Innovation Center in Luxembourg, which developed the concept. These new materials form a 3D network which constitute the inner structure of the tyre. This structure could potentially support the load of a car if the tyre gets punctured, an alternative approach to delivering RunonFlat technology. Additionally, it features a large circumferential channel to improve aquaplaning resistance and a unique tread to absorb noise. The tyre is a pure concept development and will not be produced by Goodyear. Concept tyres are designed as part of the company’s innovation process and are developed to stir debate, discuss possible solutions and enable engineers to think out of the box to deliver smart solutions for a smart future. Acer has pumped the most eye-popping features and capabilities currently possible into a new range of gaming machines launched in New York yesterday. 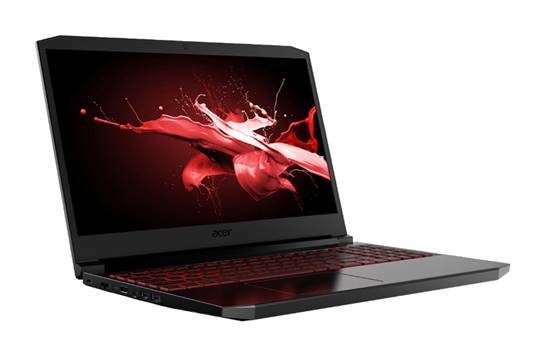 The company announced the latest additions to the Predator Helios and Nitro gaming laptop series at the company’s annual next@acer global press conference in the up-and-coming Brooklyn suburb. The highpoint of the event was the unveiling of a new sub-brand, ConceptD, geared towards professional creatives. However, the gaming devices earned the biggest oohs and aahs. Acer unveiled two new Predator Helios gaming notebooks, both running on Windows 10. The new Predator Helios 700 includes a HyperDrift keyboard that slides forward, allowing increased airflow directly through the top of the notebook, enabling gamers to push the powerful components to their highest potential. The redesigned Predator Helios 300 includes a sleek modern look and is powered by either up to an NVIDIA GeForce RT 2070 with Max-Q Design, or the latest GeForce GTX GPUs, yet still retains its budget-friendly price tag. It’s well-suited for task-heavy computing, as its high-end hardware provides the performance needed for gaming, streaming, and video and photo editing. Click here for detailed specs of the new Predator Helios and Nitro machines.